My next door neighbor and friend is listing her house and of course I can't let an opportunity for a little DIY pass me by... plus I'm super nice and helpful. So I offered to help. She needed help making her five year old fence look picture perfect. You know what really bums me out? When we only fix stuff up because we're selling it. It's like driving around a seriously dirty car until you want to sell it and then you clean it and it's amazing... and then you sell it... anyway. 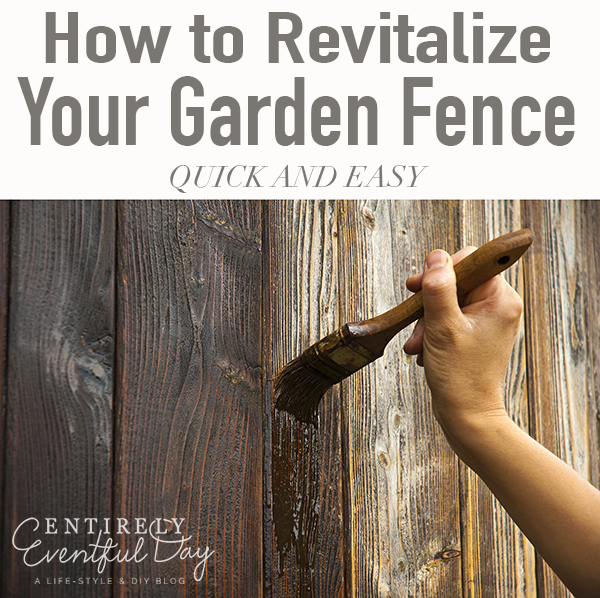 Here are some helpful tips that can help you bring your fence back to life too! Picture this: you have a beautiful garden that your children love playing in, it’s full of lovely, colorful plants, it looks good, it smells great, but the once beautiful, bright and pretty wooden fence is dirty, sun bleached and just awful. However, rather than tearing up your old fence and installing a new one, you can rescue your old one by renewing it! This will not only save you money, but also make it last longer, bonus. 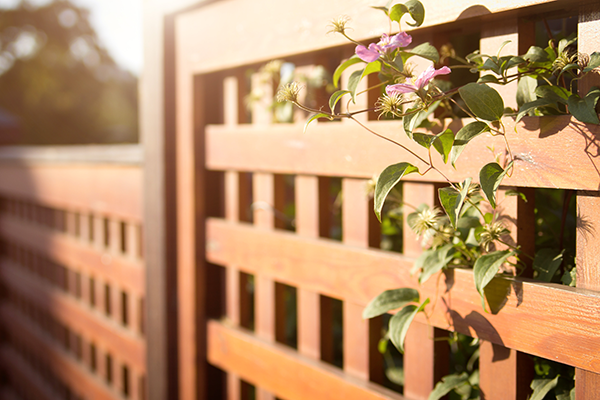 Read on for a simple, jargon-free three step guide to renewing your garden fence. The thing about wooden fences is, before you do anything to them, you need to clean them. But this isn’t a soap and water type of job. To clean it efficiently, you need to use a power washer. Power washers can be rented for very little. They’re just perfect for this task, as they can blast out not just dirt, but also the layer of dead cells on the surface, which reveals a fresh and bright later of wood. Once you’ve power washed your fence, you need to look to see if there are any underlying issues that need to be seen to. Loose boards can be easily tightened with new screws and can make all the difference to the overall look of the fence, while split and broken pieces of wood can be fixed using waterproof wood glue. If there is a gate in your fence, see if it needs to be realigned (use a turnbuckle if it does) and give the hinges some TLC with something like WD40. After the cleaning and the repairs comes the most fun part: painting the fence. In fact, it’s probably one of the only parts of this task that your kids will enjoy helping you finish. To start with, you need to paint the fence with a stain. To do this, you need to use an exterior and semitransparent oil stain, which will seal the wood and make it look really good by highlighting the grain and natural color of the wood. When you’re shopping for an appropriate stain or exterior paint, look for one that has ultraviolet inhibitors, which work by slowing down the bleaching effect of the sun. Then it will look good for much longer. Disclaimer: some posts on this site include partner links (See policies for more info) XOXO.